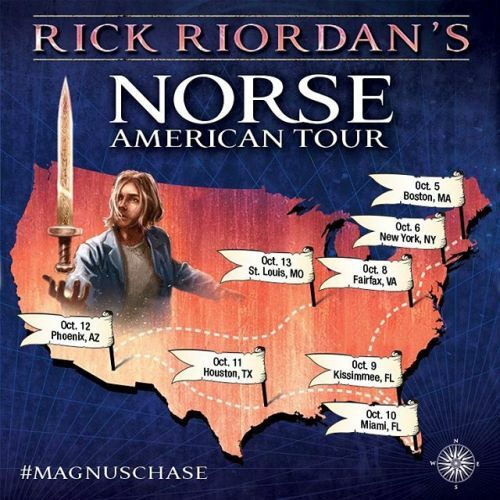 Book Chat #10: Rick Riordan’s “Magnus Chase and the Gods of Asgard: The Sword of Summer” Norse American Tour! Oh my gosh, you guys. 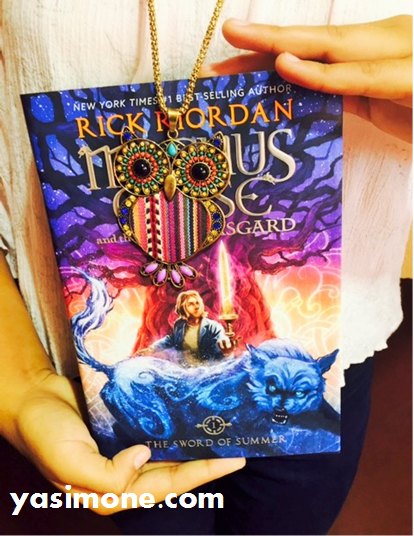 Magnus Chase meets my owl necklace/blog logo. Agh, what a pretty cover! 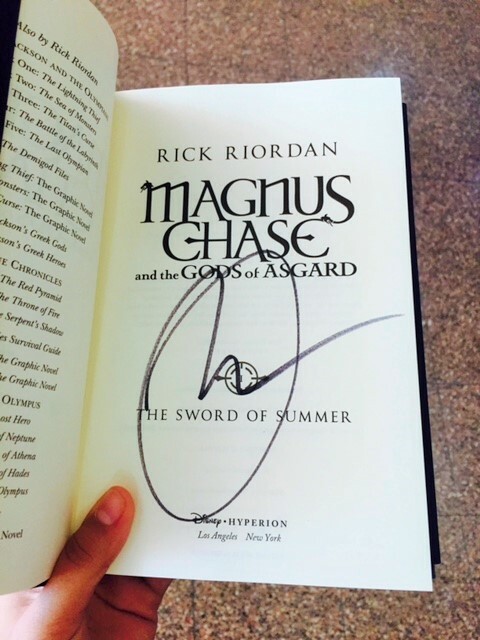 I have a book with Rick Riordan’s signature in it, therefore I have lived life. Finally, after waiting for a bit, we were ushered to our seats inside the auditorium and we were given foam shields! How cool is that? Foam shields! 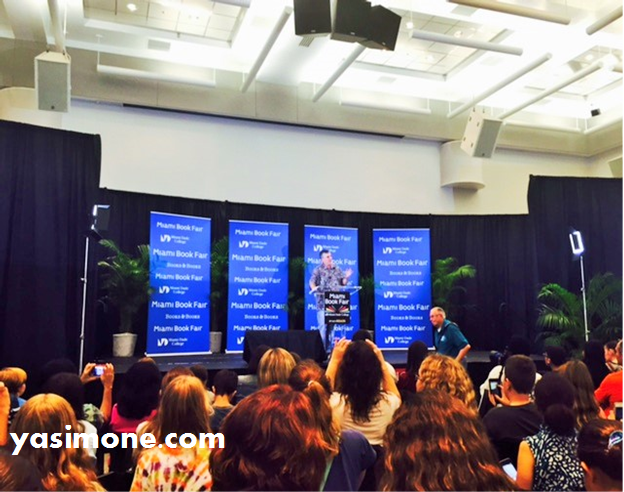 And the moment we were all waiting for arrived: Rick Riordan walked up onto the stage! He is such a great guy—so funny, and friendly, and basically everything you’d want the author of some of your favourite books to be. 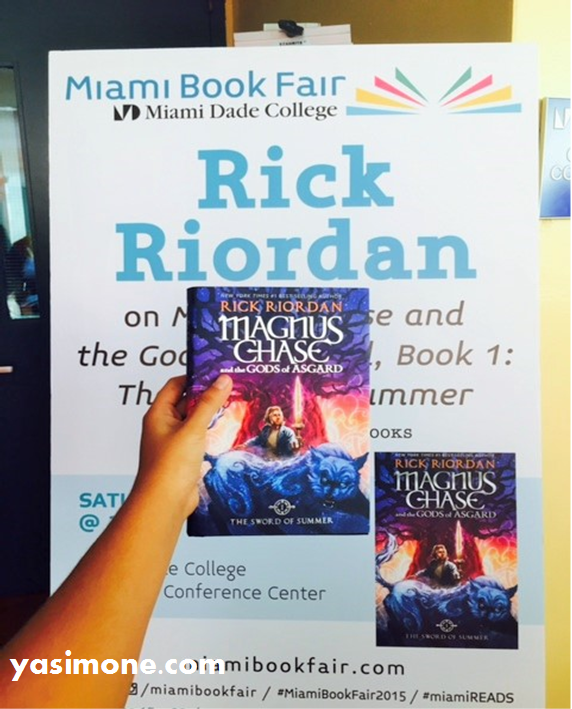 You can definitely tell he’s the one behind the Percy Jackson and the Olympians and the Heroes of Olympus. 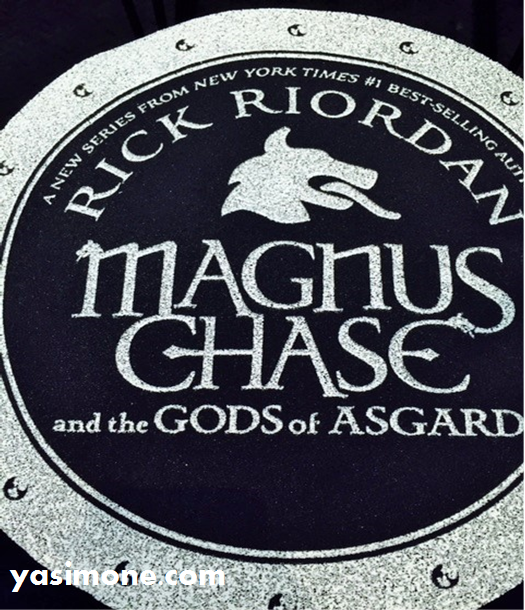 Him telling us that Magnus Chase and the Gods of Asgard is a trilogy and the next book will be coming out around this time next year! 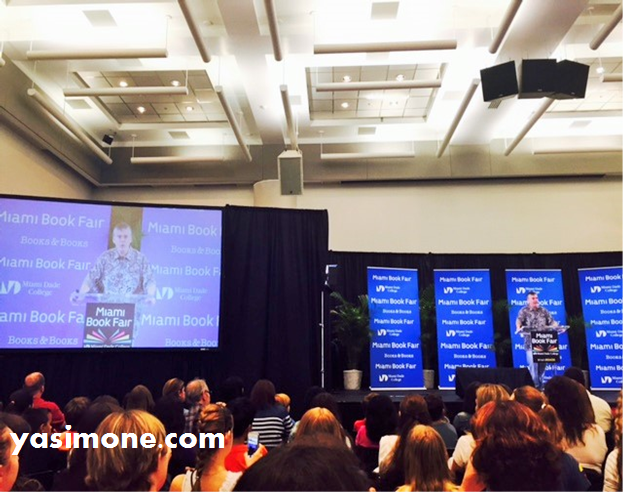 Rick Riordan speaking to a roomful of fans. Two Rick Riordans at once! Which one is the real one? It was such a wonderful experience; I would love to be a part of something like this again. And I’m so pumped up about the Trials of Apollo series that will be coming out in May of next year! If you’re anywhere near Houston, Phoenix, or St. Louis in the next three days, I would seriously recommend that you grab tickets as soon as possible and attend—it’s so worth it! 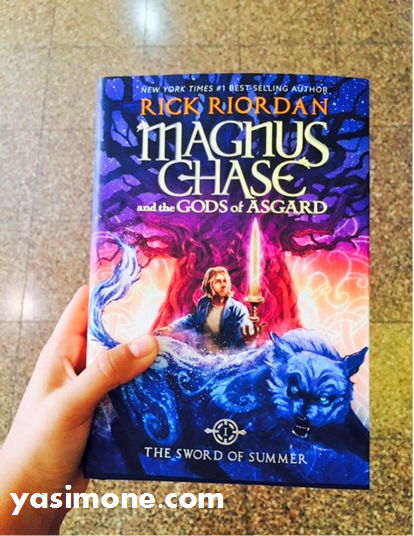 Okay, back to reading The Sword of Summer now! I’ll be up with a review as soon as possible!